Community Board 7 wishes to congratulate Roxana Benavides, the Neighborhood Library Supervisor at theSunset Park Branch Library, who was recently chosen as one of six outstanding NYC public servants to receive the 2015 Sloan Public Service Award. Community Board 7 also wishes to congratulate Sunset Park High School as one of only two schools in NYC to be selected as a School of Opportunity by the National Education Policy Center. The Brooklyn Public Library is facing unprecedented demand and funding challenges this year. The Support the Branches campaign allows you to make a donation directly to your local branch. The campaign continues through June 30. All New York City residents are eligible to receive a free, photo NYC identification card through IDNYC. Among the benefits are free one-year memberships to many of NYC's leading cultural institutions. To learn more or to make an appointment to obtain identification, please visit their website. The Galapagos Center for New Americans has free immigration legal consultations on July 13 and July 27. They are currently running a campaign to Stop Notario Fraud, concerning fraudulent legal services. NYC Parks has launched the Be WaterSafe campaign to teach all New Yorkers to to exercise caution in and near pools and natural bodies of water. Community Board 7's Housing Committee met with theDepartment of City Planning earlier this month to learn more about the Mayor's Affordable Housing Plan: Zoning for Quality and Affordability. 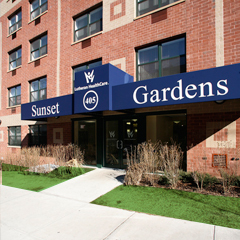 There are many aspects of the plan which could have animpact on the Community District, including incentives for private developers to build affordable units as part of new construction, increased allowances for height and bulk, reduced or eliminated parking requirements for new buildings and reduction of barriers to create senior housing. The proposal is not finalized and there are still opportunities to weigh in and make your voice heard. Community Board 7 expects the Department of City Planning to return in the autumn to update their presentation before the board is required to vote on the proposal. The Mayor's Plan seeks to create 200,000 units of affordable housing in the next ten years, including 10,000 units of senior housing. 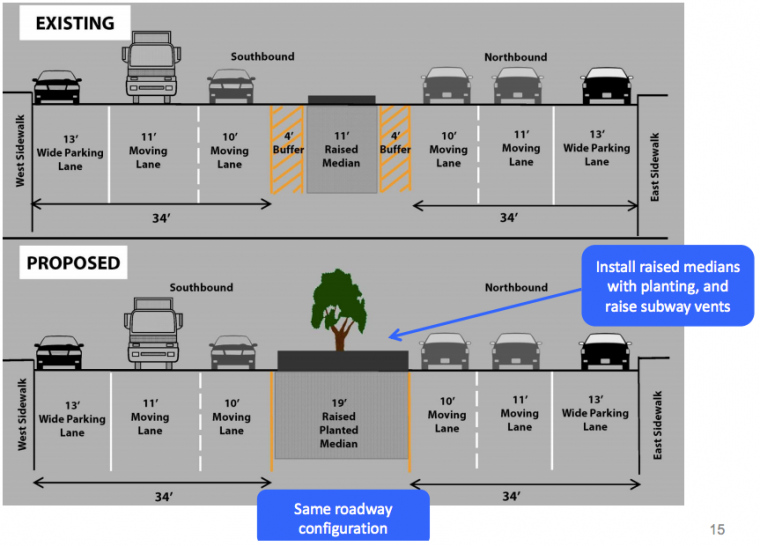 Earlier this month, the Department of Transportationpresented a proposal to rebuild the 4th Avenue medians. New crosswalks, pedestrian safety measures, trees, shrubs and other plants, space for public art and benches are all expected to be part of the plan. In addition, DOT proposes increasing the width of the sidewalk by four feet on 4th Avenue adjacent to Greenwood Cemetery from 34th to 36th Streets. The proposal, part of the NYC Great Streets initiative, seeks to build upon the success of the 4th Avenue lane reduction and pedestrian median widening, which was implemented in 2012. In Community District 7, these changes have reduced accidents on 4th Avenue by 18% and pedestrian injuries by 30%. The first phase of the project is expected to begin in the spring of 2017 and include the medians from 8th to 18th Streets and from 33rd to 52nd Streets. The second phase, expected to begin in the spring of 2018, would include 18th to 33rd Streets and 52nd to 60th Streets. DOT is seeking funds for a third phase to include 60th to 65th Streets and Atlantic Avenue to 8th Street. Community Board 7's Transportation Committee will present this proposal to the full board on June 17. NYC's rent regulation laws expired on June 15. However, tenants with a current lease remain protected and certain protections remain even if your lease is up for renewal. Legislation to extend and strengthen the law is pending in the State Legislature. Community Board 7's Economic Development Committee will meet with the Economic Development Corporation to discuss the Letter of Intent they negotiated with Councilman Carlos Menchaca concerning the future of the South Brooklyn Marine Terminal andBush Terminal Park. The meeting will take place on July 1. Street cleanliness ratings in sections of Sunset Park, between 3rd and 8th Avenues, from 45th Street to the Long Island Rail Road cut, have fallen into the low 70s, well below the City's standard of 90%. The CB 7 Housing Committee received an update from the Brooklyn Public Library and the Fifth Avenue Committee on their proposal to rebuild a larger Sunset Park branch library with affordable housing above. CB 7 does not expect to vote on this proposal for many months. 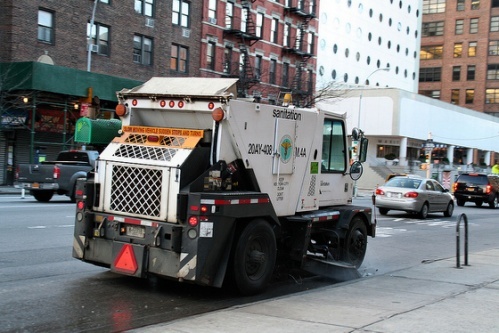 A recent letter from the Department of Sanitation served to warn the Community Board that our local street cleanliness ratings have fallen significantly over the past couple of years. This may lead to increased enforcement actions and summonsing and even an increase in the number of days streets are mechanically swept. We need your help to prevent additional summonses for residents and businesses and a return to 4-day-a-week sweeping in parts of the community. Street sweeping was reduced to a uniform 2-days-a-week throughout the residential community in 2012. Businesses and residential owners are required to keep their sidewalks clean and sweep 18 inches into the street. Businesses can be summonsed between 10 and 11 AM and between 3 to 4 PM. Residents can be summonsed between 8 and 9 AM. Business owners can sign up for theAdopt-a-Basket program to help prevent the overflow of corner sanitation baskets. CB 7 recently met with DSNY to strategize on keeping the streets clean. CB 7 is currently working with the not-for-profit community to create a regular clean up crew for problem areas. DSNY is creating multi-language, community-specific handouts for residents and businesses. CB 7 requests your cooperation in keeping your section of sidewalk and street clean and to report any problem/difficult to clean/public property locations to the Board Office. Just as a reminder, it is illegal to dispose household trash in a corner basket.